How Far Have We Come In Understanding this “Spiritual Malady” of Alcoholism? In our previous blog we wondered if some commentators, who have co-occurring disorders may be puzzled at how having a “spiritual malady” could be related in any way to have a co-occurring condition? This is a pretty valid question? In fact this may be at the heart of the issue in many cases of feeling the need to take medication for so-called co-occurring conditions? Seeing alcoholism as partly the product of a spiritual malady, instead of the affective disorder I believe it to be, may influence certain AAs to seek additional help for supposed additional conditions when the manifestation of these conditions may actually be part of the emotional disorder of alcoholism? It is at least worth considering? For me sometimes there is a confusion with what is perceived to be a spiritual malady? I do not believe I have the same type of spiritual malady as my wife for example who is an normie, earthling, normal person (whatever that is?) I believe, if any thing I have a super enhanced, at times turbo-charged, spiritual malady, often fuelled by stress/distress, as the result of my alcoholism. I do not believe I have the same spiritual malady as other normal people such as those people who were in the Oxford Group. That is not to say that normal people cannot be full of sin – a cursory look around the work and it’s events will soon confirm this is the case. What I am saying is that they do not have the emotion dysregulation or fear based responding that I seem to have which often prompts “sin”. By sin I mean negative emotions that cause distress to me and others. For example, false pride, intolerance, impatience, arrogance, shame, lust, gluttony, greed. Yes these all create distress. The spiritual principles of AA and the 12 steps in particular were drawn from the 4 absolutes of the Oxford group, via initially the 6 steps and the idea of a spiritual malady is also borrowed from the Oxford group. I have for several years wondered if the spiritual malady described in the Big Book adequate or accurate enough in describing what I suffer from. I believe others have difficulties in reconciling the spiritual malady of the Big Book with their own alcoholism, addiction and co-occurring conditions? Part of the problem may lie in not being specific enough about what alcoholism is. It may be that research and the world have not progressed far enough to give a comprehensive account of what alcoholism is. Also the spiritual malady concept of AA has for 80 years helped millions of people recover from this most profound of conditions? So why change it if it’s not broke? That is a good point? I am not advocating changing anything, I hope AA recovery remains as it is for 80 more years and much more years. I would not change one word in the first 164 pages of the BB. However, many AAs ignore the spiritual malady thing completely, or do not do the steps, so, in my opinion, they often do not properly understand what they suffer from? The magic of the the steps is that they seem to reveal the patterns of behaviour that our actions have prompted over the course of our lives. Maladaptive behaviours I should add. It helps us see ourselves and our condition of alcoholism and how it effects us and others. It shows the areas of behaviour and attitudes that can be treated by working the steps. It shows us how our approach to life can possibly be transformed for the better. For me personally it often showed a pattern of emotional responding to events that do not go my way!!? As Bill Wilson once wrote we suffer when we cannot not get what we want or others seem to prevent us getting what we want. My inventory of steps 4/5 showed me that my long lists of resentments were mainly the product of emotional immaturity and responding in an immature manner to not getting my way. My inventory showed me also that I did not seem to have the facility previously to emotionally respond to the world in a mature way. As the world dominated me. My recovery has thus since been about “growing up” a bit, however unsuccessful I am in this pursuit on occasion. I have often written that this inherent emotional immaturity may even be linked to the possibility that the areas of my brain that regulate emotions have not matured properly as alcoholic seem to have different connectivity, functionality and morphology (size/volume) in this emotion regulation circuit/network to healthy normal people. Alcoholics seem not to be able to fully process emotional information externally, i.e reading emotion expression of faces accurately, or internally reading what emotions we are having, or even whether we are hungry or tired! So we have issues with emotions and somatic/body feeling states. This is perhaps compounded by most of us having experienced abuse or maltreatment which can also lead to alexithymic characteristics such as not being able to label or describe, verbally, emotional states we are experiencing – although we can be good at intellectualising these emotions – which is not the same as processing them. Alcoholics and children of alcoholics have a tendency to avoid emotions (use avoidant coping strategies) in fact and to use emotional reasoning when arguing a point. These emotion processing deficits also appear to make us more impulsive, and to choose lesser short term gain over greater long term gain in decision making. It can lead to a distress feeling state that can make us fear based, perfectionist, have catastrophic thoughts, intolerance of uncertainty, low frustration and distress tolerance, be reactionary, moody, and immature in our emotional responding. But how has any of this got anything to do with the so-called spiritual malady we are suppose to suffer from? It was 80 years ago, so our knowledge base has moved on greatly from when the Big Book was written. Hence I believe we should appreciate that this definition of our condition has been updated by research into emotions especially in the last 20 years. I am happy to say a spiritual malady is what we suffer from, as the steps provide a solution to my emotion disorder by treating it as a spiritual malady but I do not think it is the straightforward spiritual malady adopted by AA from the Oxford Group, mainly because in the majority of situations I do not choose to sin, the sinning seems to happen to me. In other words it is the consequence of my fear based condition, this affective disorder. The Oxford Group explain a general spiritual malady that all people can have. I do not think alcoholics are like all people. We are human beings, but extreme versions of human beings. I believe, even when I try my best to be virtuous and holy, I could sin at the sinning Olympics for my country. I am that naturally good at it! I sin so naturally, effortlessly and usually without even trying. I believe my so-called defects of character are linked to my underlying emotional disorder of alcoholism. Sins I believe are the poisoned fruit of fear, often helped along in alcoholics by false pride, shame and guilt. These defects are related to me being an alcoholic, they are intrinsic to my condition. In order to illustrate how I believe my spiritual malady is the consequence of my emotional disorder, called alcoholism/addiction first let’s go back to where this idea of spiritual malady came from. Unhappiness to us and others, discontent, and, frequently, mental and bodily ill health are the direct results of Sin. One can see how this concept of sin disease or in other words spiritual malady could be and was applied to early AA and incorporated into the Big Book of AA. However, it is equally stating, I believe, that alcoholics suffer from the same spiritual malady as other people but our spiritual malady has led to chronic alcoholism, this is the manner in which sin has dominated “mentally and physically until we are their abject slaves”. In fact the Big book’s first chapters look more at the manifestation of this malady, problem drinking, than the malady. It suggests that there is more than this malady, there is also a physical reason for alcoholism- an allergy (or abnormal reaction) to alcohol. So this is a departure from the Oxford Group as it clearly states that alcoholism is more than a spiritual malady. It is not simply the consequence of this spiritual malady although this malady may contribute. So is this saying some of us are spiritually ill while also having an abnormal reaction to alcohol? Here we have an abnormal reaction to alcohol and for some alcoholics a maladjustment to life. For me this maladjustment to life is not exactly the same as the spiritual disease mentioned in the Oxford Group pamphlet. All of my academic research in the last 6 years has explored the possibility that this “maladjustment to life” is more than a spiritual malady, i.e. it is not simply the consequence of Sin but the result of abnormal responding, emotionally (which has obvious consequences for sinning) to life. This emotion dysregulation, as I name it, has consequences for how we feel about ourselves, how we interact with people, how much we feel we belong, how rewarding alcohol and drugs are, how much these substances make us feel better about ourselves (fix our feelings ) and how they turn off the internal critic of maladaptive and negative self schemas. In fact our first “spiritual” wakening was probably the result of drinking as it transformed how we felt about ourselves and the world in which we lived. I know it did for me. In fact, I felt “more me” when I drank, it was like I escaped a restrictive sense of self to be a more expansive, people loving self. I had a connection with the world I could not generate myself, when sober. I was a “spirit awakening” if nothing else? It is interesting that a common definition of “spiritual” as it relates to AA, is a sense of connection with others. For me this section is saying our emotion dysregulation leads to feelings of being “restless, irritable and discontented” which prompt a return to drinking. This section would appear to be stating clearly that there alcoholics who have other (co-occurring) conditions or conditions appearing as co-occurring? I contend that alcoholism is an emotional disorder which results in chemical dependency on the substance of alcohol. However in order to treat it we have to first contend with the symptomatic manifestation of this disorder, chronic alcohol use, as it is the most life threatening aspect of this disorder when we present our selves at AA. What we used once to regulate negative emotions and a sense of self has eventually come to regulate our emotions to such an extent that any distress leads to the compulsive response of drinking. Alcoholics had become a compulsive disorder to relief distress not to induce pleasure. The “spiritual malady” of the Oxford group seems enhanced in me, I believe I sin more than normal people because of my emotional immaturity and reactivity. My “loss of control” over drinking is also linked to emotion processing difficulties as it prompted impulsive, uninhibited drinking. This emotional immaturity is referenced throughout the Big Book I believe. For me this is saying that out of my emotion dysregulation “stem all forms of spiritual disease”. The list of emotional difficulties continues throughout the Big book’s first 164 pages. One of the earliest studies on AA members concluded that they were linked in commonality by two variables, emotional immaturity and grandiosity! I would contend that grandiosity is a part of emotional immaturity. I also contend that our “maladjustment to life” is based on emotional immaturity which is in itself a function of emotion regulation and processing deficits. “Understanding and Counseling the Alcoholic” p 53 of the revised edition of 1968 (the original edition appeared in 1956), the only difference being that Clinebell included grandiosity and compulsiveness. Years after the Big Book Bill Wilson wrote about this emotion immaturity in the guise of discussing emotional sobriety, for me what he is saying that our emotional difficulties are present in long term recovery and need to be addressed – in other words there is more to alcoholism than sinning and drinking. What we are left with after the steps is ongoing and underlying difficulties with living life on life’s terms because we are emotionally immature. This I believe also preceded our drinking, for many of us anyway? For many recovering alcoholics this may be another unpalatable truth, that they have issues with emotional responding, with being emotionally mature. If further validation is required I suggest a frank conversation with a loved one, wife, husband, child, parent, etc. For me this is emotional immaturity, regulating ones emotions and distress via external dependencies on others, demanding in an immature manner that others do one’s bidding? I would suggest in relation to the issue of co-morbidities that one try to deal with these alcoholism related issues and then see if there are any other to deal with afterwards. For me, as someone who has been treated for anxiety and depression prior to recovery the 12 steps appear to have treated these as emotional consequences of my underlying condition of emotion dysregulation which I call alcoholism. I think part of the issue is whether doctors, who know in my experience often know next to nothing generally about alcoholism, can always properly diagnose depression and anxiety in someone suffering from alcoholism? I also think the issues are complicate because alcoholism have some many similarities to GAD, MDD, OCD, and so on. They all may be similar but different. This is why we need a satisfactory definition of what alcoholism and addition is? Rather than describing these conditions in terms of the manifest symptoms, i.e chronic substance abuse or, at times, vague “spiritual maladies”. For example, one variable I believe is slightly different in alcoholism to other affective disorders is distress based impulsivity which leads to maladaptive decision making, it leads to always wanting more of that…that anything. These may be specific to addictive behaviours. It may also be that we feel we have a co-occurring disorder because the underlying distress states prompt similar reactions in various differing disorders. My distress feeds perfectionism, and catastrophic thinking as with other anxiety disorders like OCD, does that mean I have OCD too? Maybe or maybe not? My tendency to not regulate emotions has caused a distress state since childhood, it feeds into perfectionism and many other manifestations like always wanting just one more…? It is the always wanting one more that makes my affective disorder that of addiction and not another disorder. My affective disorder via various neural and cognitive – affective mechanisms leads to chronic substance use and dependency of these substances. GAD, MDD, OCD have different manifestations and different mechanisms. If we start by trying to recover from alcoholism and addiction and find we still have other issues then obviously address these with outside professional and specialist help. I believe we can unwittingly complicate our treatment of alcoholism by believing we have (and treating) other conditions we see as distinct from alcoholism but which are in fact part of this condition called alcoholism. I never fully knew what alcoholsim was until I did the 12 steps. Only then did it become clear what I suffered from? I have suggested clearly in previous blogs how I think AA’s 12 recovery programme helps specifically with problems of emotion dysregulation. Maintaining Emotional Sobriety (and sanity) via the steps 10-12. These illustrate how the 12 step programme can help with an emotion dysregulation disorder. I end, however, with some words from a doctor who seems to be suggesting that AA works because it makes us more emotionally healthy. For me she is saying how AA treats emotional illness. “The principles of the programme of Alcoholics Anonymous are scientific and closely follow all the helping therapies which lead people to emotional well-being. AA proposes living “ One Day at a Time”. It is emotionally healthy to live in the day … in the here and now. Professional therapists teach people to live in the present. AA encourages members to share their experience, strength and hope with other members. It is emotionally healthy to accept our past experiences, however painful, as past events and move on to a richer, more fulfilling future. Step 1 in the AA programme is “ We admitted we were powerless over alcohol – that our lives had become unmanageable”. It is emotionally healthy to surrender and accept things over which we have no control. “God grant us the serenity to accept the things we cannot change, courage to change the things we can and the wisdom to know the difference” is the Serenity Prayer used at every AA meeting. It is emotionally healthy to prioritise problems. The Serenity Prayer is the greatest exercise in prioritisation. It is emotionally healthy to accept that we cannot change a particular situation but we can change the way we react to it. It is emotionally healthy to accept yourself as you are. It is emotionally healthy to recognise your environment and interact with it as it is, not as you wish it would be. It is emotionally healthy to associate or be in contact with other human beings. It is emotionally healthy to be altruistic – to help others without question or expectation. AA provides many ways of becoming more emotionally well, which ultimately means more emotionally mature. 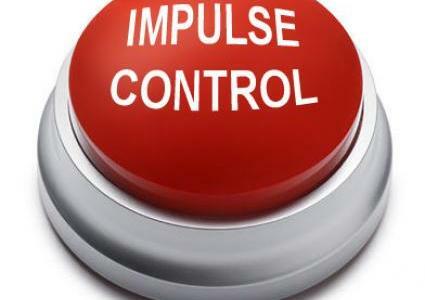 Impulsivity or lack of behaviour inhibition, especially when distressed, is one psychological mechanisms which is implicated in all addictive behaviour from substance addiction to behaviour addiction. It is, in my view, linked to the impaired emotion processing as I have elucidated upon in various blogs on this site. This impulsivity is present for example in those vulnerable to later alcoholism, i.e. sons and daughters of alcoholic parents or children from a family that has a relatively high or concentrated density of alcoholics in the family history, right through to old timers, people who have decades of recovery from alcoholism. It is an ever present and as a result part of a pathomechanism of alcoholism, that is it is fundamental to driving alcoholism to it’s chronic endpoint. It partly drives addiction via it’s impact on decision making – research shows people of varying addictive behaviours choose now over later, even if it is a smaller short term gain over a greater long term gain. We seem to react to relieve a distress signal in the brain rather than in response to considering and evaluating the long term consequences of a decision or act. No doubt this improves in recovery as it has with me. Nonetheless, this tendency for rash action with limited consideration of long term consequence is clearly a part of the addictive profile. Not only do we choose now over then, we appear to have an intolerance of uncertainty, which means we have difficulties coping with uncertain outcomes. In other words we struggle with things in the future particularly if they are worrying or concerning things, like a day in court etc. The future can continually intrude into the present. A thought becomes a near certain action, again similar to the though-action fusion of obsessive compulsive disorder. It is as if the thought and possible future action are almost fused, as if they are happening in unison. Although simple, less worrying events can also make me struggle with leaving the future to the future instead of endless and fruitlessly ruminating about it in the now. In early recovery especially I found that I had real difficulty dealing with the uncertainty of future events and always thought they would turn out bad. It is akin to catastrophic thinking. If a thought of a drink entered into my head it was so distressing, almost as if I was being dragged by some invisible magnet to the nearest bar. It was horrendous. Fortunately I created my own thought action fusion to oppose this. Any time I felt this distressing lure of the bar like some unavoidable siren call of alcohol I would turn that thought into the action of ringing my sponsor. This is why sponsees should ring sponsors about whatever, whenever in order to habitualize these responses to counteract the automatic responses of the addicted brain. I think it is again based on an inherent emotion dysregulation. Obsessive thoughts are linked to emotion dysregulation. My emotions can still sometimes control me and not the other way around. Apparently we need to recruit the frontal part of the brain to regulate these emotions and this is the area most damaged by chronic alcohol consumption. As a result we find it difficult to recruit this brain area which not only helps regulate emotion but is instrumental in making reflective, evaluative decisions about future, more long term consequence. As a result addicts of all types appear to use a “bottom up” sub-cortical part of the brain centred on the amgydala region to make responses to decisions instead of a “top down” more cortical part of the brain to make evaluative decisions. We thus react, and rashly act to relieve the distress of undifferentiated emotions, the result of unprocessed emotion rather than using processed emotions to recruit the more cortical parts of the brain. Who would have though emotions were so instrumental in us making decisions? Two parts of the brain that hold emotions in check so that they can be used to serve goal directed behaviour are the orbitofrontal cortex and the ventromedial prefrontal cortex. These areas also keep amgydaloid responding in check. Unfortunately these two areas are impaired in alcoholics and other addictive behaviours so their influence on and regulation of the amgydala is also impaired. This means the sub cortical areas of the amgydala and related regions are over active and prompt not a goal directed response to decision making but a “fight or flight” response to alleviate distress and not facilitate goal directed behaviour. Sorry for so much detail. I have read so much about medication recently which does this or that to reduce craving or to control drinking but what about the underlying conditions of alcoholism and addictive behaviour? These are rarely mentioned or considered at all. We always in recovery have to deal with alcoholism not just it’s symptomatic manifestation of that which is chronic alcohol consumption. This is a relatively simple point and observation that somehow alludes academics, researchers and so-called commentators on this fascinating subject. Anyway that is some background to this study which demonstrates that long term AA membership can reduce this impulsivity and perhaps adds validity to the above arguments that improved behaviour inhibition and reducing impulsivity is a very possible mechanism of change brought about by AA membership and the 12 step recovery program. It shows how we can learn about a pathology from the recovery from it! Indeed when one looks back at one’s step 4 and 5 how many times was this distress based impulsivity the real reason for “stepping on the toes of others” and for their retaliation? Were we not partly dominated by the world because we could not keep ourselves in check? Didn’t all our decisions get us to AA because they were inherently based on a decision making weakness? Isn’t this why it is always useful to have a sponsor, someone to discuss possible decisions with? Weren’t we out of control, regardless of alcohol or substance or behaviour addiction? Isn’t this at the heart of our unmanageability? I think we can all see how we still are effected by a tendency not to think things through and to act rashly. The trouble it has caused is quite staggeringly really? Again we cite a study (1) which has Rudolf H. Moos as a co-author. Moos has authored and co-authored a numbered of fine papers on the effectiveness of AA and is a rationale beacon in a sea of sometimes quite controversial and ignorant studies on AA, and alcoholism in general. Among individuals with alcohol use disorders (AUD), Alcoholics Anonymous (AA) is linked to improved functioning across a number of domains [1, 2]. As the evidence for the effectiveness of AA has accumulated, so too have efforts to identify the mechanisms of change associated with participation in this mutual-help group . To our knowledge, however, there have been no efforts to examine links between AA and reductions in impulsivity-a dimension of personality marked by deficits in self-control and self-regulation, and tendencies to take risks and respond to stimuli with minimal forethought. In this article, we discuss the conceptual rationale for reduced impulsivity as a mechanism of change associated with AA, review our research on links between AA and reduced impulsivity, and discuss potential implications of the findings for future research on AA and, more broadly, interventions for individuals with AUD. Although traditionally viewed as static variables, contemporary research has revealed that traits such as impulsivity can change over time . For example, traits related to impulsivity exhibit significant mean- and individual-level decreases over the lifespan , as do symptoms of personality disorders that include impulsivity as an essential feature [21, 22]. Moreover, entry into social roles that press for increased responsibility and self-control predict decreases in impulsivity [16, 23, 24]. Hence, individual levels of impulsivity can be modified by systematic changes in one’s life circumstances . 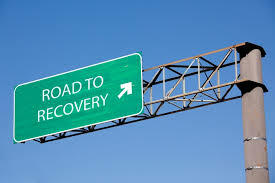 Substance use-focused mutual-help groups may promote such changes, given that they seek to bolster self-efficacy and coping skills aimed at controlling substance use, encourage members to be more structured in their daily lives, and target deficits in self-regulation . Such “active ingredients” may curb the immediate self-gratification characteristic of disinhibition and provide the conceptual grounds to expect that AA participation can press for a reduction in impulsive inclinations. …the idea of reduced impulsivity as a mechanism of change…it is consistent with contemporary definitions of recovery from substance use disorders that emphasize improved citizenship and global health , AA’s vision of recovery as a broad transformation of character , and efforts to explore individual differences in emotional and behavioral functioning as potential mechanisms of change (e.g., negative affect [33,34]). Several findings are notable from our research on associations between AA attendance and reduced impulsivity. First, consistent with the idea of impulsivity as a dynamic construct [18, 19], mean-levels of impulsivity decreased significantly in our AUD sample. Second, consistent with the notion that impulsivity can be modified by contextual factors , individuals who participated in AA longer tended to show larger decreases in impulsivity across all assessment intervals. Blonigen, D. M., Timko, C., & Moos, R. H. (2013). Alcoholics anonymous and reduced impulsivity: a novel mechanism of change. Substance abuse, 34(1), 4-12. Why a “Spiritual Solution” to a Neurobiological Disease? In the first in a series of blogs we discuss the topic of why does the solution to one’s alcoholism and addiction require a spiritual recovery. This is a much asked question within academic research, although the health benefits of meditation are well known and life styles incorporating religious affiliation are known to increase health and span of life. Processing Emotions by verbalising them!? In early recovery I did not have a clue what emotions I was experiencing. I was not able to identify, label or process them. As a result of his failure to process emotions I seemed to be constantly distressed and and, as we seen in previous blogs, this distress leads to a distress-based impulsivity and a negative urgency to either engage in “fight or flight” behaviour, i.e. running away from fearful situations or ignoring the Big Book of AA’s recommendation not to fight anybody or anything. The only way I could handle these troublesome and frightening emotions was by talking about them to my sponsor or my wife or other people in recovery. In recent years it has become evident to that what I have been doing all these years have been using a technique of verbalising my emotions to actually process them. I now believe this is a fundamental part of my recovery and that I sometimes need to verbalise my emotions in order to process them. How does this work? I recently came across an article (1) which might shed some light on this process. Putting feelings into words (affect labeling) has long been thought to help manage negative emotional experiences. Affect labeling or naming emotions diminishes the response of the amygdala and other limbic regions to negative emotional images. A brain imaging study by UCLA psychologists reveals why verbalizing our feelings makes our sadness, anger and pain less intense. When people see a photograph of an angry or fearful face,they have increased activity in a region of the brain called the amygdala, which serves as an alarm to activate a cascade of biological systems (including stress chemicals) to protect the body in times of danger. Scientists see a robust amygdala response even when they show such emotional photographs subliminally, so fast a person can’t even see them. But does seeing an angry face and simply calling it an angry face change our brain response? The answer is yes, according to Matthew D.Lieberman, UCLA associate professor of psychology. “When you attach the word ‘angry,’ you see a decreased response in the amygdala,” said Lieberman, lead author of the study. The study showed that while the amygdala was less active when an individual labeled the feeling, another region of the brain was more active: the right ventrolateral prefrontal cortex. This region is located behind the forehead and eyes and has been associated with thinking in words about emotional experiences. It has also been implicated in inhibiting behavior and processing emotions. “What we’re suggesting is when you start thinking in words about your emotions —labeling emotions — that might be part of what the right ventrolateral region is responsible for,” Lieberman said. If a newcomer to recovery one is sad or angry or resentful , getting them person to talk or write may many have benefits. In Lieberman’s study participant’s viewed images of individuals making different emotional expressions. Below the picture of the face they either saw two words, such as “angry” and “fearful” and chose which emotion described the face, or they saw two names,such as “Harry” and “Sally,” and chose the gender-appropriate name that matched the face. “When you attach the word ‘angry,’ you see a decreased response in the amygdala,” Lieberman said. “When you attach the name ‘Harry,’you don’t see the reduction in the amygdala response. As a result, an individual may feel less angry or less sad. “This is ancient wisdom,” Lieberman said. Putting our feelings into words helps us heal better and if we can get newcomers to talk about them, that will make them feel better. They will experience part of the “solution” right way and be encouraged to come back for more. So putting feelings into words helps with not only regulating and modulating the intensity of emotions, but helps with processing them, reduces distress and distress based impulsivity and shows there is a solution to unruly negative emotions. In my experience this process has been a fundamental part of how it works! Lieberman, M. D., Eisenberger, N. I., Crockett, M. J., Tom, S. M., Pfeifer, J. H., & Way, B. M. (2007). Putting feelings into words affect labeling disrupts amygdala activity in response to affective stimuli. Psychological Science, 18(5), 421-428. Prolonged Abstinence and Changes in Alcoholic Personality? When I came into AA I remember hearing the words “the need for a psychic change” which was the product of a spiritual awakening (as the result of doing the 12 steps). This is the cornerstone of AA recovery; thinking, feeling and acting differently about the world to when we were active drinkers. Otherwise one does the same things and ends up in the same places, doing the same things, namely drinking. It is a behavioural revolution; a sea change in how we perceive and act. In line with this thinking, we came across this French study which measured via questionnaire the very same changes that occur in recovery. The French study uses different term for alcoholics and recovery but is saying the same things – it is we that need to change, not the world. This study aimed to examine whether personality traits were modified during prolonged abstinence in recovering alcoholics. Groups of both recovering and recently detoxified alcoholics were asked via questionnaire to see if they differed significantly from each other in three personality domains: neuroticism, agreeableness and conscientiousness The recovering alcoholics were pooled from self help groups and treatment centres and the other group, the recently detoxified drinkers were pooled from various clinics throughout France. Finally, regarding conscientiousness, they observed that, over time, recovering persons became more social, enjoyed higher self-esteem (Costa, McCrae, & Dye, 1991), cared for and were interested in others, and wished to help them. They were able to perform tasks without being distracted, and carefully considered their actions before carrying them out; their determination remained strong regardless of the level of challenge, and their actions are guided by ethical values. Instead, recently detoxified drinkers lacked confidence, rushed into action, proved unreliable and unstable. As a result, lacking sufficient motivation, they experienced difficulty in achieving their objectives. However, in spite of marked differences between groups, their results did not provide clear evidence of personality changes. While significant behaviour differences between the two groups were revealed, they were more akin to long-term improvements in behavourial adequacy to events than to actual personality changes. When I have did my steps 4-7, noting the situations, the people, the institutions that have caused persistent resentments in me, then examining what parts of my self have been affected, I also, thanks to one sponsor was asked me to, put down exactly what “sins” or defects of character I also experienced during these resentments. This jotting down of the exact sins I was in during these resentments has proved to be very useful in my recovery ever since. What I noticed was that I had the same array of sins or negatively (immaturely) expressed emotions in relation to all resentments regardless of the situation or the person I had the resentment, the same web of sins was weaved in every situation. For me this shows clearly how I do not process and regulate my emotions properly, how it has a canalized form of reaction. I have found increasingly in recovery that when I want someone or something to be the way I want it and it doesn’t go that way or I want something to stay a certain way or I believe someone is threatening to interfere or take away something that I have (when I am controlling basically), I find I respond by either being dependent or dominating of the person or situation. This is what Bill Wilson also found out in ten years or so of psycho-analysis with Harry Tiebout. Immature emotional response I call this, followed by emotional reasoning. I rarely react in a balanced manner to these prompts. The situations invariably provoke a fear based response in me which somehow also leads to me suddenly becoming dishonesty in my thinking. It is as if this self centred fear as cut me off from the truthful sunlight of the spirit and I am suddenly in the dark shadow of dishonesty. In fact, according to Father Ralph honesty comes from the Greek to be at one with God funnily enough. Then I feel shame as the result of my pride being hurt, which can lead to self pity it if I let it. I may also feel guilt. Then I may decide to strike back via being arrogant, impatient or intolerant, in behaviourally expressed sometimes as putting others down to elevate one self. Again immature emotional response. I am obviously also being self centred and selfish while in this process. I can also be envious or jealous of others in the midst of this for taking what I wanted or threatening what I have, like a child in the park or playground with friends. Other ways of fixing my feelings rear their heads and I can be gluttonous as a reaction or become greedy. Eat too much or go on a shopping frenzy. All instead of processing the emotions which are driving this behaviour I react, act out of distress based impulsivity. I can be so distressed that I can tend towards procrastination, which is sloth in five syllables. These sins or negatively expressed emotions truly grip me and these sins seem to hunt in packs. I found this fascinating when I first discovered this during my steps. It seemed to map the reactions of my heart when I react via resentments to the world. They describe accurately how I relate to the world especially when the world does not give me what I want or I have stood on it’s toes. What else is this but an immature emotional reaction based not just on me being the same age as I started drinking but also on the fact that the regions of the brain which govern emotional regulation in the brain of the alcoholic are immature, are smaller, not connected as well or do not function as well as healthy folk. This is according to many academic studies and also seen in the brains of children of alcoholics, so our emotional brain regions may never have worked properly and thanks to years of alcohol abuse have gotten a whole lot worse. When I am not in charge of my emotions they are in charge of me, in other words. They are controlling me and not the other way around. This type of emotional immaturity happens throughout the day sometimes. So there is no point waiting to the end of the day to do a step 10, to see when have I been fearful, dishonest, resentful or selfish. I have to do it continuously throughout the day to maintain my spiritual and emotional equilibrium, because it needs constant attention and maintenance, because I have no naturally maintained balance. I have to manage it. I impose homoestasis to an allostatic system. There is not naturally resting place. I am in charge of my serenity. So I spot check continuously to ensure my emotional sobriety. Another word for sober is sane. I ike this because while I am in emotional dysregulation or immaturity, I am far from sane. In fact, I am strangely deluded, distinct from from any reasonableness. I need to do my step ten to be restored to sanity. The other problem with this emotional lability and dysregulation is that it send streams of distorted thinking into my head. I remember ringing my sponsor in early recovery, a few months in, with the startling relevation, to me, that my thoughts were all leading me to a place of emotional pain. My emotional dysregulation leading to cognitive distortions which leads to further emotional dyregulation etc. Spot the negative emotions underpinning these thoughts and they disappear like wispy evaporating clouds. This has similarities here with the practice of mindfulness. I do this all in a very simple way – I simply ask God to remove my sins, which are usually fear, dishonesty, pride, shame,guilt, self pity, leading to intolerance, arrogance and impatience and so on, warmed in a dendritic spreading across my heart and polluting of my mind with stinking thoughts. It is interesting that in the 5th century a religious man called Evagrius Ponticus suggested that one gets rid of troublesome thoughts by pinpointing the negative emotions which were somehow underpin then and weight these thoughts in one’s mind, like anchors weighing down lassoed clouds. I do the same effectively. I ask God to remove these emotions after I have first identified them and offered them to Him for help in removing. What I am doing, in a sense, is also identifying, labelling and letting go (processing) of the negative emotions that have kept these thunderous grey black clouds of thoughts in my head, and striking my heart with forked pain. I am asking God to help me do what I cannot do for myself it seems; namely emotional regulation. People outside AA often wonder how this spiritual program can help people recover. As I blogged about recently recently it does so, I believe partly, because it helps us learn how to practice identifying, labelling and processing emotions (often by verbalising them to someone or via step 10) in a way that is not only healthy and adaptive but in a way I was seemingly never able to do prior to coming into AA. Or had never been taught to do. I have learnt all these development skills not in my childhood but in my surrogate home of AA. How many of us have come home in AA? Processing the Past via the action steps, 4-12! Processing the Past via the actions steps, 4-12! How The Alcoholics Anonymous’ program of action helps with emotional dysregulation. When I first came into recovery I was surprised how much more time I spent embroiled in thinking about past incidents and how I had numerous murderous resentments about people who had supposedly done me wrong, than I did thinking about drinking. The thought of drinking terrified me rather than enticed me. Fortunately it also made be nauseous and fortunately still does. A full year of vomiting on an empty stomach, throughout each and every interminable day and night, has had some aversion like effect. I had literally hundreds of thoughts and negative emotions about the past streaming through and around my aching head and piercing my heart. They were like toxic mind darts that flipped my guts and almost made me physically ill. Even thinking back now makes me feel queasy. It was a constant state of emotional distress, those early days of recovery. I was shocked as the weeks trudged on painfully that I seemed to have problems other than the drink. I was reassured by many other AAs in meetings when they shared about how difficult life was on life’s terms – how they struggled with resentments and fears and their “emotional disease”. I was was glad it wasn’t just me. I had finally found a club where I fitted in! After all these years. In fact most people I drank with were also alcoholic! So I have always sought the company of my own. I thought we could only be found in pubs! And here we had rooms of them talking about trying to stay “emotionally sober”. It wasn’t just sobriety it had to be emotional sobriety. I was, through my fading eyesight and mercifully abating alcoholic psychosis, greatly intrigued by this. My life, and their lives, had become unmanageable, they said, not just because of the drink, but because of some underlying condition. I was especially interested in why I was so cursed by memories of my past. Why hadn’t they gone away? Why had they come back so prolifically in early recovery. The alcohol must have keep some of them suppressed, at bay. Now they were teeming through, poisoning my mind just as effectively as any alcoholic withdrawal or rattling hangover ever did. It was difficult not to somehow see these rampant, rampaging negative thoughts and emotions as akin to a disease. When they spoke of spiritual disease, it seemed to describe what was happening in my head. I have “done” the steps three times and each time has offered more insight into this spiritual malady which I call an emotional disease. Why? Well because the sure sign of a spiritual malady, I believe, is the expression and lack of control over negative emotions. The emotional lability and volatility. The bad temperedness, the indignition at life’s flaws, the perfectionism, the need to control, the righteous anger. We sin via these negative emotions. Have you ever heard of someone sinning via positive emotions? “Yes he wronged me by being so kind and generous, thoughtful and loving, to hell with that man!” So why are we so scared of the e word, emotion. We sin via, or have defects of character which are, negative expressions of emotion. Intolerance, or impatience, selfishness, fear based dishonesty and so on. All expressions of distress. A fear based illness? I like the term defect of character because it suggests sometime intrinsic to alcoholics. I call this inherent aspect of this condition called alcoholism, emotional regulation and processing difficulties. 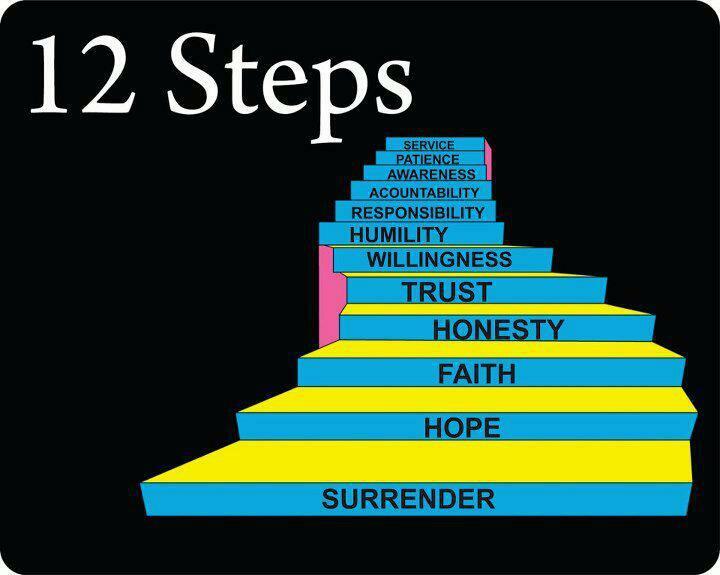 In this blog I will attempt to explain how the 12 steps of AA, principally the action steps 4 through to 12, have not only connected me with a power greater than myself but they continue to treat, on a daily basis, my unmanageability. An unmanageability caused inherently by my difficulties processing and regulating emotions. I have looked hard for supporting evidence to substantiate what I am about to write and found this link to an interesting piece on the use of EMDR and other therapies in treating the unprocessed emotions caused by emotional dysregulation in those who suffer from trauma. I have used aspects of this to make it applicable to alcoholics. I believe profoundly that steps 4-12 facilitate a profound alteration in our ability to regulate and process emotions. Steps 4 -7, in particular help us to embed the numerous unprocessed memories from childhood onwards, that all seem to have been tied together in a terrible mnemonic mesh by aspects of emotional dysregulation such as resentments. It is in addressing all these that we finally process these associated negative emotions in our memory banks and finally embed all these memories in long term memory. In short, the Steps allow us to adaptively and healthily process our disturbed pasts. They also allow us to maintain a health and adaptive emotional regulation on a daily basis and via steps 10-12 in particular allow us to greatly improve our emotional regulation. I am not rewriting the Big Book of AA here, only to add another angle to understanding it and how it works, so that others in related therapeutic fields can have some insight into how it may work and those who need help feel more inclined to come to AA for help. http://www.thebody.com/content/art48754.html – Refer also to the work of Francine Shapiro (1) and her work which shaped development of the EMDR therapy which treats trauma (PTSD) and other disorders. I know it works for PTSD as my wife suffered PTSD after a car accident, and was greatly helped by this type of treatment. It is Shapiro’s insight into the role of unprocessed emotions in causing emotional volatility and a “volcano of unresolved distressing effects” (2) and that chronic dysfunctional perceptions, responses, attitudes, self-concept, and personality traits are all symptoms of unprocessed memories (3) that shapes my thinking, partly, on how the steps allow us to put the past to bed. I have to add also that I believe myself to be a sufferer of PTSD also. I have stressed that alcoholism is a psychiatric disorder in it’s own right but would never be silly enough to suggest it does not have co-occurring disorders such as PTSD, as the result of abuse and trauma in earlier life experience. Especially as there as up to 2/3s of dependent people may have had abuse in their early lives and that PTSD sufferers have up to a 50 % co-morbidity with alcoholism and addiction. Perhaps this is why this work by Shapiro strikes a cord with me. I think it is naive to say that abusive early life does not play a role in alcoholism and addition and that this environmental influence on genetic inheritance (alcoholism has a a generic heritability of some 50 – 70% making one of the most inheritable disorders). In other words, some 50 – 70% of alcoholics have alcoholism in their genes. Throughout our lives, we all experience significant events that impact our perceptions of the world and determine how we interpret and respond to future experiences. These moments represent painful experiences so severe that they overwhelm our ability to cope with the rush of thoughts and feelings they elicit and If left unresolved, these feelings can persist for years in unprocessed emotions. As a general rule, anything destructive that is left untreated — disease, trauma, stress, psychological disorders, addiction — can become progressively worse over time. Coming to terms with the past is often referred to as “integration,” of these errant unprocessed emotions and achieving resolution. One way this resolution can be accomplished is by verbally and somatically (by being aware of how they affect one bodily) reprocessing these, like in step 5 when discussing one’s inventory, and the rewards can be transformative. Mental networks contain visual images of the previous experiences as well as related thoughts, emotions, and sensations. Previous experiences — including every physical sensation, every emotion, and every perception or interpretation — are encoded and stored in the brain and throughout the body. The processing of information about previous events may be incomplete, perhaps because the person has not developed the emotional or mental faculties to effectively manage or correctly interpret the situation (often the case with children who have faced abuse, trauma, insecure attachment to caregivers) or because processing is hindered by strong negative feelings (such as shame, helplessness, and denial) which I believe may be the consequence of emotional dysregulation. The memory of the previous experiences can therefore be improperly stored without appropriate associative connections and with many elements still unprocessed. This incomplete processing prevents the forging of connections with more adaptive information or new learning which might help the person release the abusive, traumatising, misrepresented, resented, emotionally dysregualted and unprocessed experiences from the past. Finally when we do process these experiences then we can consign them to, embed them, happily in long term memory. In a previous blog we say how one maladaptive emotional regulations strategies that of self elaboration, where one regulates a negative emotional experience by filtering in through the self and then elaborating on this in a ruminating manner, i.e. only seeing an event in relation to themselves, in self- reference (similar to a resentment) and that our minds in early recovery are thus filled with these unprocessed memories as the consequence of this type if emotional dysregulation which filtered everything through a self centredness. In many cases we began to see in our step 4 inventory that it was often our emotional dysregultation that caused others to act in certain ways which we interpret, whether for valid reasons or not, in a self centred and distorted way which was base on emotional reasoning. These unprocessed emotions and memories thus lingered on in our minds for decades, festering as resentments and fuelling our drinking and drug use. Doesn’t Step 4 allow us to record these unprocessed memories, get them down in black and white, with the unprocessed emotions, the resentments and other negative unprocessed emotions, such as anger, fear, selfishness, self-centredness, dishonesty and son on. Doesn’t it let us use our proper reasoning to see through our purely emotional reasoning? Don’t we start to process these emotions and thus the attached memories by verbalizing them in a therapeutic sense to our sponsors, mentors, respected religious or spiritual guides, counsellors etc? Don’t we learn to see what has kept us enslaved in feelings of injustice, resentment, of being wronged? Doesn’t it help us see how our emotional dysregulation distorts our perception of reality, and leads to a negative bias in our thinking about life and the people in it? Doesn’t it show us our underlying problem, our underlying psychiatric condition, which the steps helps us then to manage, to help us become manageable. We are not powerless over alcohol when we manage our negative emotions. The Steps 6 and 7 allow us to have these removed. I believe God remove my many previous unprocessed emotions and memories, helped me consign then to the past and my long term memory. They did not go into ether as i fist thought, but into were processed in long term memory. This is no way lessens the Grace of God or his mercy. He helps me do what i cannot, He goes deep! Steps 8 and 9 process these emotions even more via making amends for our wrongdoings and getting rid of the potential distress associated with unresolved situations from our past. The final recognition of the effects our emotional dysregulation has had on our wider community. Aren’t the steps, primarily to help us manage our emotional dysregulation? Isn’t this what was unmanageable? Wasn’t it this which gave King Alcohol power over us? Doesn’t the AA program of action help us in a similar way EMDR does with trauma victims? Step 10 helps us on a daily basis look out for manifestations and examples on how we hurt others with our lack of control over our negative emotional response, our dysfunctional emotional response. It gives us a way to examine and process these emotions and to take action to apologise to those who experienced this emotional volatility. It helps encourage positive, healthy, adaptive emotional expression. Love contains the positive assets hopefully also listed in your inventories; selfishness, consideration, patience, tolerance etc – the aspects of healthy emotional being. Perhaps this is another reason why Step 12 is so profound in helping us manage the unmanageability of our emotional dysregulation. And fellowship itself, gives us an “earned attachment” especially when many of us had insecure attachments with our parents, grew up in dysfunction, disrupted families, in abuse or trauma. It helps us finally “belong”. Fellowship allows us perhaps to express our emotions fully for the first time, allows us to verbalize our concerns and feelings, label them for the first time, regulate and process them. Provides a safe environment in which to emotionally mature. The list goes on and on. AA gives us loving feedback, nurtures us, nourishes us. Home groups with regular members over many years obviously aid this process of caring and mutual self growth. It has become more clear while writing this how AA manages this emotional disease we call alcoholism. The AA program of action helps us change how we feel and think about the world. 1. Shapiro, F. EMDR Therapy: Adaptive Information Processing, Clinical Applications and Research Recommendations. 2. Courtois, C. A., & Ford, J. D. (Eds.). (2009). Treating complex traumatic stress disorders: An evidence-based guide. New York, NY: Guilford Press. 3 Alcoholics Anonymous. (2001). Alcoholics Anonymous, 4th Edition. New York: A.A. World Services. One of the leading researchers in the area of emotional regulation difficulties and the advocacy of acceptance-based Mindfulness in treatment of these emotional regulation problems is Kim Gratz. In the first in a series of blogs about how different treatments address the intrinsic emotional dysregulation at the heart of addiction we consider Gratz’s view on emotional regulations and the role of mindfulness in alleviating some of this dysregulation (1). 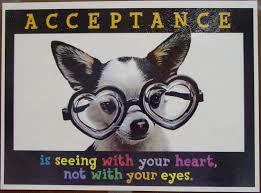 The idea of acceptance of things as they are is central to acceptance based treatments such as Mindfulness, DBT and 12 step programs (“acceptance is the key”). Difficulties in emotion regulation underlie many of the clinically relevant behaviors and psychological difficulties for which clients seek treatment, including substance use (2,3), binge eating (4,5). In response, treatments for a variety of difficulties are increasingly incorporating a focus on emotion regulation and seeking to promote adaptive emotion regulation skills (6- 8 ). There has been a great deal of research in the past decade indicating that efforts to control, suppress, or avoid unwanted internal experiences (including emotions) may actually have paradoxical effects, increasing the frequency, severity, and accessibility of these experiences (9-10 ). These studies show that attempts to avoid or suppress internal experiences may actually have paradoxical effects (referred to as ironic processes (13)) were attempts to suppress thoughts leads to them increasingly rebounding in one’s mind so this has the opposite effect, ironic, to what one hopes to achieve, to lessen these thoughts. More recently, researchers have found similar results when attempting to suppress emotions (14). All in all, these findings suggest that conceptualizations of emotion regulation that equate regulation with the control or avoidance of certain emotions may be counter productive to emotion regulation. According to this approach, although adaptive regulation may involve efforts to modulate the intensity or duration of an emotion (16) these efforts are in the service of reducing the urgency associated with the emotion in order to control one’s behavior (rather than the emotion itself). In other words, this approach suggests the potential utility of efforts to “take the edge off” an emotion or self-soothe when distressed, rather than to get rid of the emotion or escape it altogether. Moreover, when it comes to efforts to modulate the intensity or duration of an emotion, attachment to the outcome of these efforts is thought to have paradoxical effects (as directly trying to reduce emotional arousal to a particular level or make an emotion end after a certain amount of time is considered to reflect an “emotional control” agenda indicative of emotional avoidance). Some researchers conceptualize emotion regulation as any adaptive way of responding to one’s emotions, regardless of their intensity or reactivity. Acceptance- and mindfulness-based treatments may be particularly useful for promoting emotion regulation and facilitating the development of more adaptive ways of responding to emotions. For example, the process of observing and describing one’s emotions (an element common across many mindfulness- and acceptance-based treatments,) to promote emotional awareness and clarity, as clients are encouraged to observe their emotions as they occur in the moment and to label them objectively. Through this process, clients are increasing contact with these emotions and focusing attention on the different components of their emotional responses (expected to increase emotional awareness). Further, the process of describing emotions is expected to facilitate the ability to identify, label, and differentiate between emotional states. Given that the evaluation of emotions as bad or wrong likely both motivates attempts to avoid emotions and leads to the development of secondary emotional responses (e.g., fear or shame), learning to approach emotions in a nonjudgmental fashion is expected to increase the willingness to experience emotions and decrease secondary emotional reactions. Mindfulness training may also promote the decoupling of emotions and behaviors, teaching clients that emotions can be experienced and tolerated without necessarily acting on them. As such, these skills may facilitate the ability to control one’s behaviors in the context of emotional distress. One factor thought to interfere with the ability to control impulsive behaviors when emotionally distressed is the experience of emotions as inseparable from behaviors, such that the emotion and the behavior that occurs in response to that emotion are experienced as one (e.g.,anxiety and taking an anxiolytic). Thus, the process of observing one’s emotions and their associated action urges is thought to facilitate awareness of the separateness of emotions and the behaviors that often accompany them, facilitating the ability to control one’s behaviors when distressed. 1. Gratz, K. L., & Tull, M. T. (in press). Emotion regulation as a mechanism of change in acceptance-and mindfulness-based treatments. In R. A. Baer (Ed. ), Assessing mindfulness and acceptance: Illuminating the processes of change. Oakland, CA: New Harbinger Publications. 2. Fox, H. C., Axelrod, S. R., Paliwal, P., Sleeper, J., & Sinha, R. (2007). Difficulties in emotion regulation and impulse control during cocaine abstinence. Drug and Alcohol Dependence, 89, 298-301. 3. Fox, H. C., Hong, K. A., & Sinha, R. (2008). Difficulties in emotion regulation and impulse control in recently abstinent alcoholics compared with social drinkers. Addictive Behaviors, 33, 388-394. 4. Leahey, T. M., Crowther, J. H., & Irwin, S. R. (2008). A cognitive-behavioral mindfulness group therapy intervention for the treatment of binge eating in bariatric surgery patients. Cognitive and Behavioral Practice, 15, 364-375. 5. Whiteside, U., Chen, E., Neighbors, C., Hunter, D., Lo, T., & Larimer, M. (2007). Difficulties regulating emotions: Do binge eaters have fewer strategies to modulate and tolerate negative affect? Eating Behaviors, 8, 162-169. 6. Gratz, K. L., & Gunderson, J. G. (2006). Preliminary data on an acceptance-based emotion regulation group intervention for deliberate self-harm among women with borderline personality disorder. Behavior Therapy, 37, 25-35. 7. Linehan, M. M. (1993). Cognitive-behavioral treatment of borderline personality disorder. New York, NY: Guilford Press. 12. Thompson, R. A., & Calkins, S. D. (1996). The double-edged sword: Emotional regulation for children at risk. Development and Psychopathology, 8, 163-182. 13. Wegner, D. M. (1994). Ironic processes of mental control. Psychological Review, 101, 34-52. 14. Salters-Pedneault, K., Roemer, L., Tull, M. T., Rucker, L., & Mennin, D. S. (2006). Evidence of broad deficits in emotion regulation associated with chronic worry and generalized anxiety disorder. Cognitive Therapy and Research, 30, 469-480. 15. Melnick, S. M., & Hinshaw, S. P. (2000). Emotion regulation and parenting in AD/HD and comparison boys: Linkages with social behaviors and peer preference. Journal of Abnormal Child Psychology, 28, 73-86. 16. Thompson, R. A. (1994). Emotion regulation: A theme in search of definition. In N. A. Fox (Ed. ), The development of emotion regulation: Biological and behavioral considerations. Monographs of the Society for Research in Child Development, 59, (pp. 25-52, Serial No. 17. Chapman, A. L., Gratz, K. L., & Brown, M. Z. (2006). Solving the puzzle of deliberate self harm: The experiential avoidance model. Behaviour Research and Therapy, 44, 371-394.